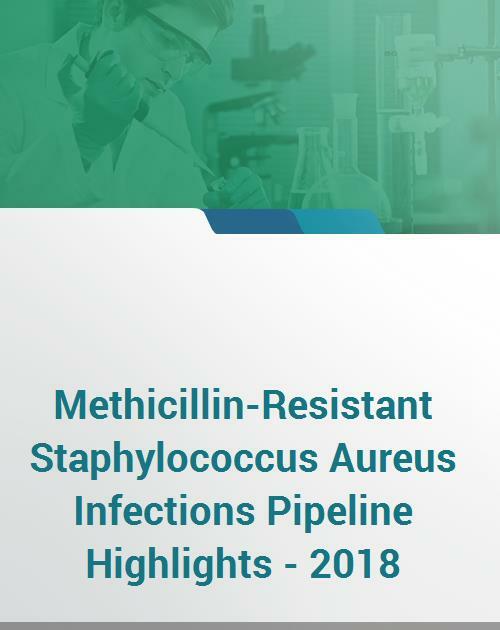 The latest report Methicillin-Resistant Staphylococcus Aureus Infections Pipeline Highlights - 2018, provides most up-to-date information on key pipeline products in the global Methicillin-Resistant Staphylococcus Aureus Infections market. It covers emerging therapies for Methicillin-Resistant Staphylococcus Aureus Infections in active clinical development stages including early and late stage clinical trials. The pipeline data presented in this report helps executives for tracking competition, identifying partners, evaluating opportunities, formulating business development strategies, and executing in-licensing and out-licensing deals. The report provides Methicillin-Resistant Staphylococcus Aureus Infections pipeline products by clinical trial stages including both early and late stage development - phase 3 clinical trials, phase 2 clinical trials, phase 1 clinical trials, preclinical research, and discovery stage. The report provides Methicillin-Resistant Staphylococcus Aureus Infections pipeline products by their dominant mechanism of action. This helps executives categorize products based on their drug class and also assess the strengths and weaknesses of compounds. The report provides Methicillin-Resistant Staphylococcus Aureus Infections pipeline products by the company. Find out which Methicillin-Resistant Staphylococcus Aureus Infections pipeline products will be launched in the US and Ex-US till 2020.